Today will put to end officially of what's been a tumultuous dividing political season. As President-Elect Donald Trump clinches the official electoral voter call against his political opponent Hillary Clinton. 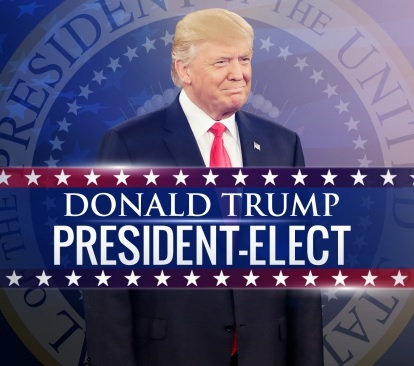 Despite losing the popular vote count to Clinton by 3 million, Donald picked up key critical states required to gain the needed electoral votes to win the Presidency. For weeks since the election there's been growing momentum on today's Electoral college vote, with many Donald Trump's opponents hoping for a miracle to occur that would see that Republican Electoral holders switch their vote in favor of Hillary Clinton. Many realize that you have a better chance of getting hit by lightening or winning the lottery than that to happen. Will there be a \"December-Surprise\"? This page contains a single entry by admin published on December 19, 2016 1:07 PM. Triumph the Insult Comic Dogs proves the Invulnerability of Trump was the previous entry in this blog.